Other topic I want to discuss tonight is the oh so famed ultimate accuracy. Eduard’s new 1:48 Bf 109G-6 comes to my mind as it caused quite some storms in a teacup lately… Eduard have established themselves as one of the premium scale model manufacturers. Opening their boxes will always reveal precision moulding, crystal clear canopies and in case of their Profipack releases, even photo-etch details and masks. While some of their models don’t exactly fall together, others are real gems. 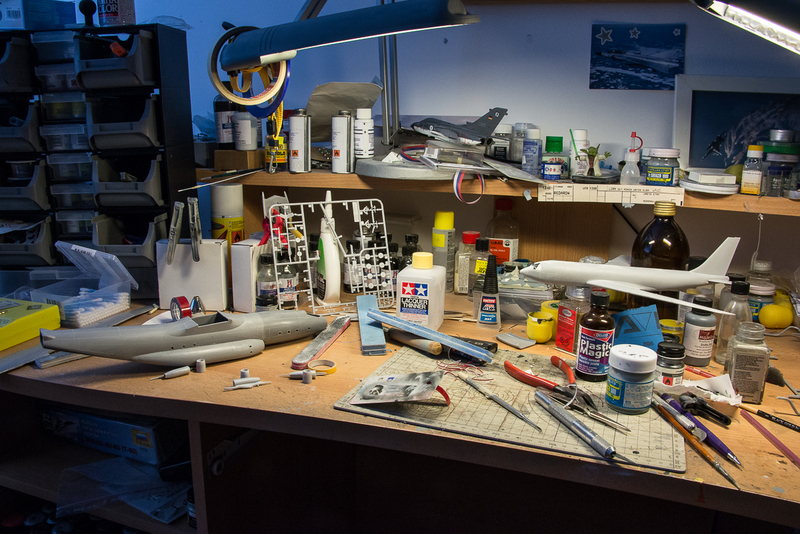 We all know, Bf 109s are one of the most popular subjects in scale model world and it comes as no surprise, model manufacturers want to have a slice of this market for themselves. Eduard recently started promoting their products with video commercials and appearing in all kinds of media. Promising the ultimate Bf 109 model in quarter scale, the kit when released, fell under close scrutiny by the so called rivet counters – or better said, couch modellers. Wing span is too large; landing gear struts are too high; there are bulges on the wings that shouldn’t be there; and so on and so on… Some ‘experts’ calling this model a total fail, others complaining about this and that, and some even calling for boycotting purchases of kits from companies that make mistakes with their kits. I find this accusations quite stupid. There is no absolutely accurate model and probably, at least with current technology, there will never be one. Not even the highly prised Tamiya kits are totally accurate. Take canopies for example. They are all too thick, no matter the scale. Even the vacuformed one are. And those who are the loudest, don’t want to work with them either… Same goes for plastic fuselage thickness, panel lines, rivets and the list goes on and on… I just don’t get it, why a bunch of grown men complain about their plastic toys – and yeah, whatever you want to believe, plastic models are just that – toys! You find a problem with newly released kit? Correct it! Or start building LEGOs! As loud as such people may be, they are not aware, they represent just a tiny percent of all model builders. Grow up! I am 63 years old. I have about 30 Me109s to build, about 40 Supermarines , a bunch of aero team aircraft, all the X-Planes and one of each aircraft flown by Western Airlines. I don’t have time for extra detail and weathering, and if the paint I have on hand is reasonably close that is fine with me.